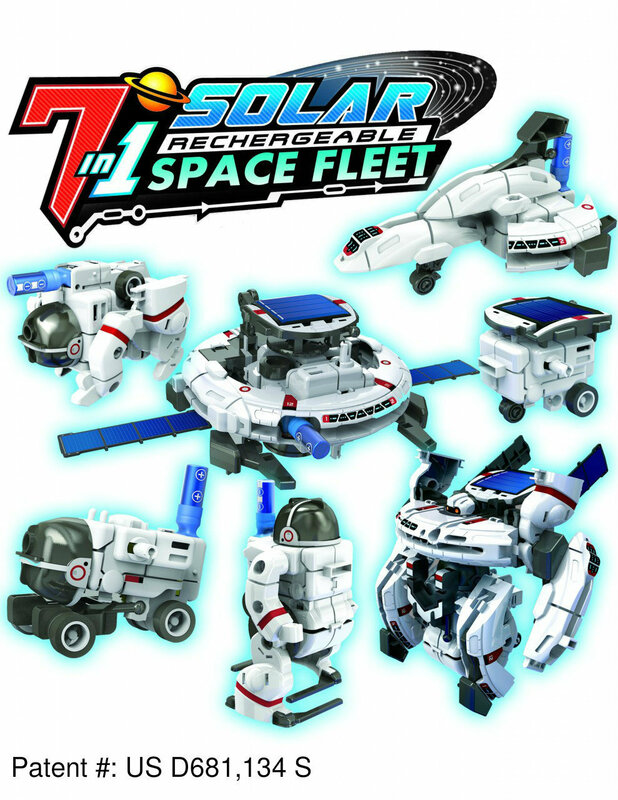 The 7-in-1 Solar Rechargeable Space Fleet Kit is an innovative solar powered science kit that can transform into seven different lunar modules and energized via direct sunlight or micro rechargeable battery. 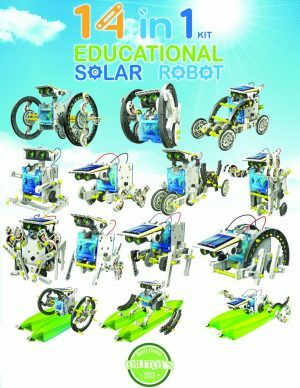 Some solar powered toys, particularly those children can build themselves; provide an ideal mix of creative, active learning. 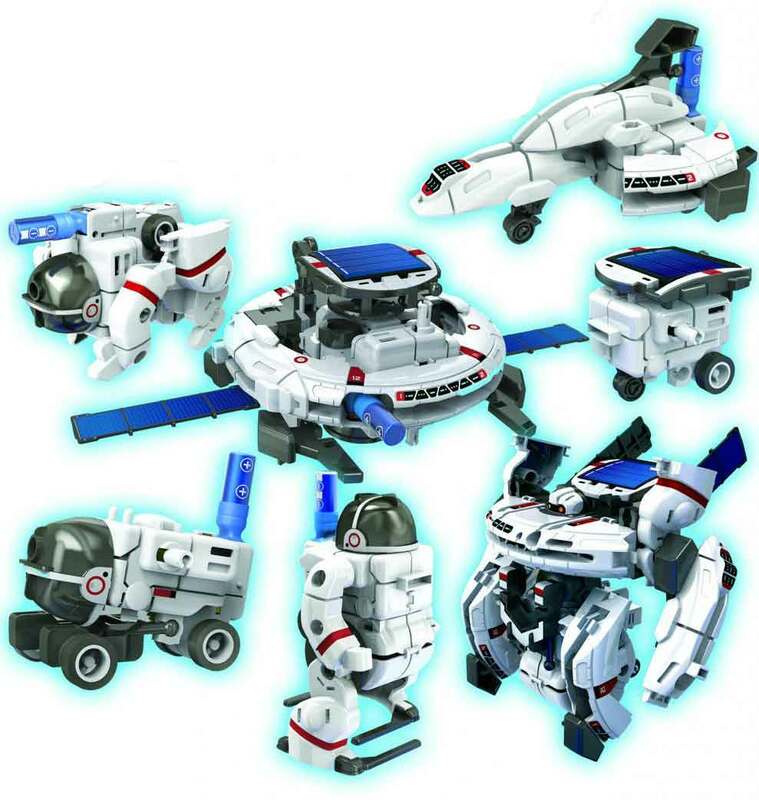 The Solar Space Fleet, for example, allows children to snap together parts (no tools required) to create seven different working models including a Space Station, Robot, Rover, Vehicle, Astronaut, Shuttle, and Dog. 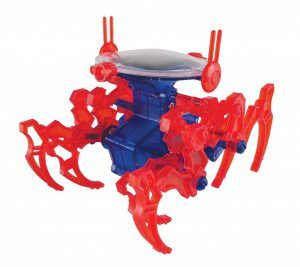 Each complete model is powered by a mini solar panel using sunlight, indoor halogen light, or micro rechargeable battery that literally brings the kits to life. 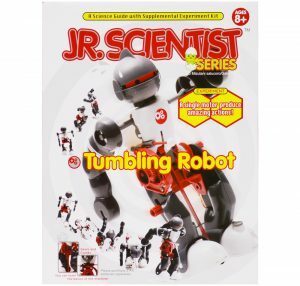 As children watch the toy they built move around and speed up or slow down depending on the intensity of the light, they’re not only learning and experimenting with solar power but also having fun with it. 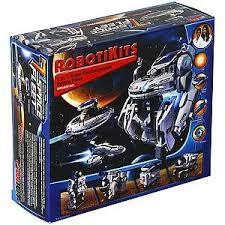 The kit can be powered by either a solar panel or a micro rechargeable battery (both are included in the kit). The micro rechargeable battery can be charged in two ways. One is charged by direct sunlight, and the other is charged by alkaline batteries (AAA x 2, not included). 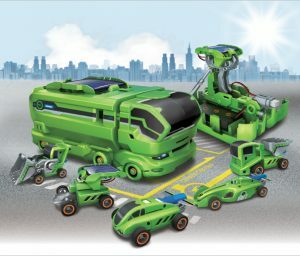 Let’s embark on America’s future “green” technology with a spatial adventure indoors and outdoors with OWI’s Solar Space Fleet Kit.